• For ocean acidification to be seen as a salient and legitimate issue, awareness raising, learning and capacity building are required. • Workshops and outreach activities can facilitate learning, awareness-raising and co-production of knowledge about coastal ocean acidification. • Stakeholders agreed that coastal ocean acidification could be treated as a water-quality issue and managed under the Water Framework Directive. • Coastal zone managers face challenges in addressing ocean acidification, and wants national government to take responsibility for actions in response to OA. Ocean acidification (OA) is already impacting marine organisms and may fundamentally alter marine ecosystems in the coming decades, with major implications for ocean services, such as food provision. Though OA is an emerging concern in coastal zone management, current actions are limited to monitoring and knowledge production. This article presents a framework for addressing coastal zone OA in local-level policy agendas through workshops, and lessons learned and outcome from the implementation of this framework in two cases in southern and northern Norway. The framework includes four components: 1) facilitating knowledge exchange and identify challenges and opportunities relating to OA; 2) ensuring legitimacy of new knowledges; 3) building capacity through learning and skill development; and 4) raise awareness about OA among local decisionmakers. 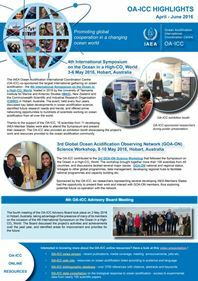 The case studies include local and regional coastal zone management stakeholders and, using OA measurements and modelling, illustrate co-production of new knowledge of coastal ocean acidification and its potential local impacts. Through two rounds of workshops, we demonstrate that the level of OA awareness markedly increases among stakeholders. This awareness manifests in vocal interest for looming projected impacts and their necessary mitigative measures. This concern is compounded by stakeholders who recognize that OA should be treated as a component of water-quality, implying that OA is gaining salience as a local policy issue. However, it is evident that local management faces challenges in addressing such an issue, combined with expectations that higher levels of government take responsibility for mitigative and adaptive actions in response to OA. Dannevig H., Groven K., Hovelsrud G. K., Lundberg A. K., Bellerby R. G., Wallhead P. & Labriola M., 2019. 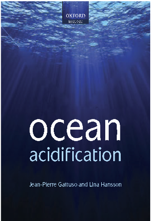 A framework for agenda-setting ocean acidification through boundary work. Environmental Science & Policy 95: 28-37. Article (subscription required).